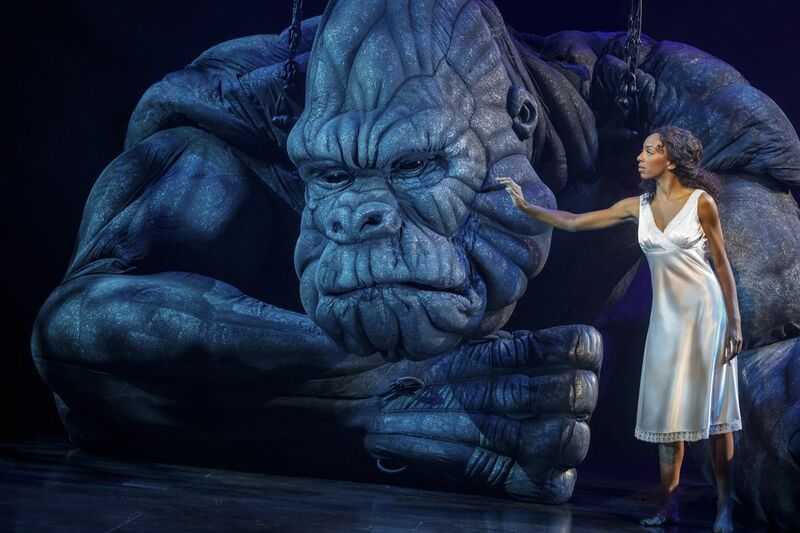 Still, fairness requires giving it up for an animated beast so spectacular it makes Julie Taymor’s artier creations look like measly marionettes. King Kong, 20 feet tall and 2,000 pounds, is a whole new level of achievement. He’s controlled by a joystick and computers, but also hand-manipulated by 10 on-stage puppeteers, all scurrying around under his body and shifting his limbs. They are what convey his palpably rich heart.